Planets, signs, aspects, and houses combine to reveal character, behavioral patterns, life cycles, timing, and a personal and collective psyche. Astrology is a science and art of infinite permutations, possibilities, and probabilities. Astrology and palmistry share the same planets and mythology. Correspondences can be hard to see because astrology shows us our potentials and hands show us what we’ve done, are doing, and are likely to do with our potentials. A sun, moon, ascendant, or stellium (conjunction of three or more planets in a house) can dominate a person’s psyche. In an astrology chart, you can see potentials. 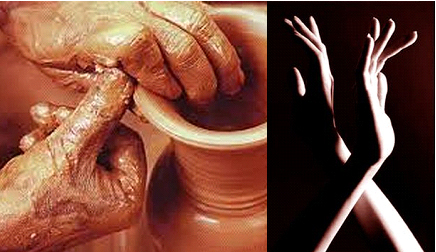 In hands, you see the choices a person has made, but not directly and only by degree. Judging is everything in palmistry. The tiniest change in a line over time can embody a huge change in a life. Any lack or excess of signs, planets, elements, or modalities will be revealed in the topography of our hands. No matter what the basic hand color, colors on the palm may vary from subtle shades of white, pink, red, and yellow to dark blue. Most palms are more colorful than most people realize. Red embodies too much pent up passion, frustration, anger, and rage. As pressure goes up, hands get hot. An unhealthy Mars overdoes everything. In the natal chart, look to Mars, Aries, and first house aspects to gain insight into opportunities and challenges that correspond to redness in the hands. Rosy pink is healthiest. A strong flow of blood pulses through a pink ball of thumb. Under the index finger (Jupiter), pink embodies a healthy ego and a positive relationship with Venus. Look to Sagittarius and Taurus and the second and ninth houses in a chart for more insight. White can be a lack of passion, energy, and clear intent. Saturn and Neptune’s relationship may provide insights and answers. When you see yellow (not from carrot juice), a person has a potentially pressing Saturn and/or Mercury issue. One comment I often hear is “My hands are the way they are because of what I do”. 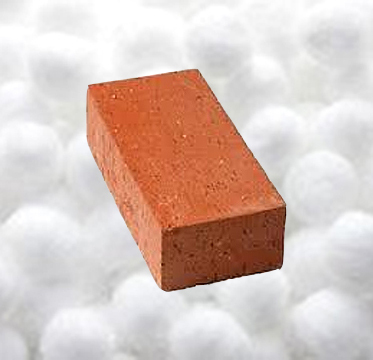 Hardness, softness, roughness, smoothness, and calluses are formed by combining character with will power. You may have calluses because of what you do, but you do what you do because you were designed to do it (and many other possibilities). Once you’ve established a basic character type, see what stands out. 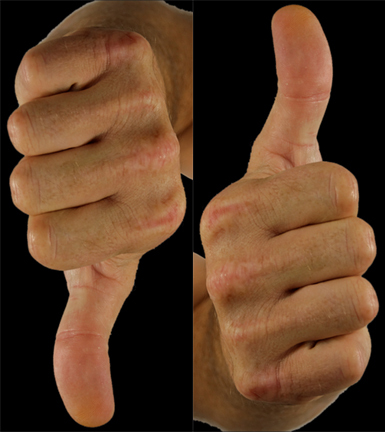 Does a finger lean, bend, crook, or twist? Is it long, short, fat, thin, strong, or weak? What’s most obvious ~ shapes of tips, knots, nails, stiffness, flexibility, consistency, elasticity, color, or texture? The hand above has obvious Saturn, Mercury, and Lunar (heel of hand) challenges. Hands and fingers can be so flexible they bend backward at every joint, or so stiff you can’t budge them with a nutcracker. Stiff fingered folk are extremely stubborn. Healthy elastic skin bounces back when pushed or pulled. People with too little elasticity must be encouraged to exercise regularly and build resistance to life’s knocks and hardships. Modality can be experienced in a handshake. I’ve shaken cool damp mashed potatoes (apathy) and been shaken by hot, rough, dry, hard, vice grips (control). Most of us compensate for our lack or overabundance of one thing or another. Too much or little of any planet, sign, house, or aspect can cause an imbalance that creates similar results. No matter what our hands say about us, we must still live our lives. Hard hands with stiff fingers fight change. Letting go will be a major life theme. Interpretations may be very different between astrology and hands. Soft hands and flexible fingers should embody dominant mutability in the natal chart. It may not. Softness does keep close company with rationalization, compartmentalization, and procrastination. Soft flexible hands need structure, discipline, focus, determination, and patience in order to build strong structures on solid foundations that support greater purpose and meaning. When judging the qualities of hands, it helps to think of extremes. 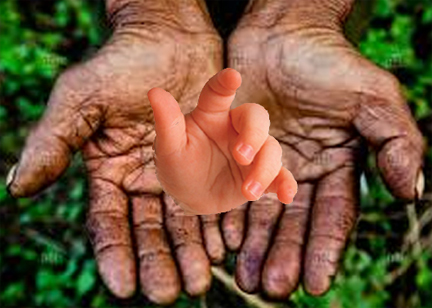 Texture of skin can vary from the velvety softness of baby hands to the callused coarseness of a coal miner or farmer. You rarely see contrary qualities in the same hands, any more than you see opposite types attracted to one another. Debutantes don’t dine with ditch diggers. We’re always communicating with our hands. Gesture reveals our conscious and subconscious minds in the here and now. The messages of our mouths may be very different than the messages of our hands. Hands never lie. 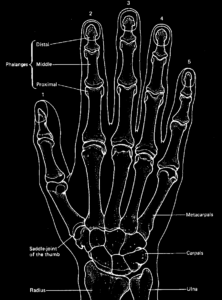 Finger lengths, proportions, knots, flexibility of joints, shapes of tips, and nails reveal our relationships to others and show how we manifest our potentials in our outer world. Four major lines (life, head, heart, and fate) deliver detailed data about our inner lives and outer circumstances. Lines begin somewhere, end somewhere, and display various qualities in-between. Depth, breadth, and textures of lines reveal elemental influences. Beginnings, endings, and directions of lines reveal how signs, planets, and aspects correspond to mind, emotion, career, and health. Markings on lines can reveal transits and timing. Select major planetary transits from Saturn to Pluto from your ephemeris that correspond to markings in the hand. You can time important transitions on lines. The above palm shows an airy head line that reveals indecisive thinking and a watery heart line that exposes confusion and ambiguity in emotion, especially during major life transitions like independence and menopause. I told her what she already knew and had been told by others ~ that she was a late bloomer and would become clearer, more decisive, and enjoy more intimacy, personal satisfaction, and fulfillment with age. This entry was posted in Aries, Astrology, character, creativity, feeling, fingernails, fingers, gesture, Hand Analysis, Hand Reading, health, intuition, Leo, Metaphysics, Mythology, Neptune, Palmistry, Philosophy, Pluto, Psychology, Sagittarius, Saturn, Scorpio, Self-help, spirituality, Taurus, thinking, Transformation, Truth, values, will power and tagged astrology, character, creativity, feeling, fingers, hand analysis, hand reading, hands, intuition, metaphysics, mythology, palmistry, philosophy, psychology, relationships, self-help, spirituality, thinking, Transformation, will power by markseltman. Bookmark the permalink. Hi Mark, I have been following your blog and thank you for demystifying some commonly misunderstood myth. I have a question I have been pondering for a while. 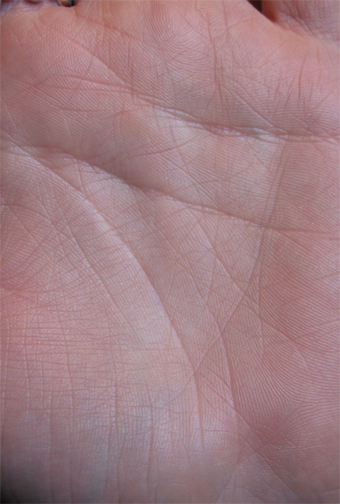 I have a fate line in my palm that is more dominant than any other major lines. Does that mean whatever I do I can not escape my destiny? Hi Jean, I think what you can’t escape is probably a very strong work ethic. If your index finger is strong, there’s a good chance that your need to have a career and be professional outweighs many of your other needs. If you have a strong sense of destiny or believe you know what your destiny is, it’s probably a good idea to go for it! Without seeing the whole picture, it’s hard to interpret a single detail. In any event, I doubt you’ll ever have to worry about your survival. Hi Mark, thank you very much for your reply. Yes, you are actually correct, my family is not a millionaire but I have been blessed to be born more privileged than a lot of people so I have not actually had to worked too hard to support other people in my family, just myself I guess. I have followed your lectures on youtube and also read your blog and tried to learn to read my palm by myself. 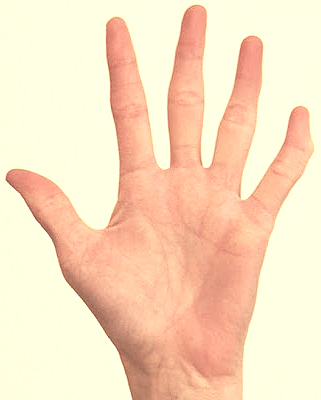 I figured my hand is probably an intuitive type (rectangular palm, though my fingers are long, they are not longer than my palm’s lenth). The beginning of my life line and my head line is closely connected and from your suggestions to others, I need to learn to trust myself and appreciate myself more. If you do not mind, could you take a look at my right palm. I have never met anyone with similar fate line or head line as mine. my head line does not look like a twin line as it still somewhat connect with the other head line. Thank you Mark, I am from Asia and 28 years old. I just left home last year abroad. A lot of things you said are true and insightful. I am indeed ambiguous and have a hard time deciding the direction I would like my life to go. I will keep in mind your suggestion to not take what people do or say personally.